Who Fixes Your Car After an Accident? For some drivers, their cars are an extension of their personality. Whether covered in stickers or custom equipment, cars reflect the individuality of the owner. To others, cars are pieces of complex machinery that get us from A to B. Yet for all of us, a car is something that makes life a little easier. So whether it's your "baby," your work-mobile, or anything in between, when your car is wrecked, you want to get it fixed as soon as possible. 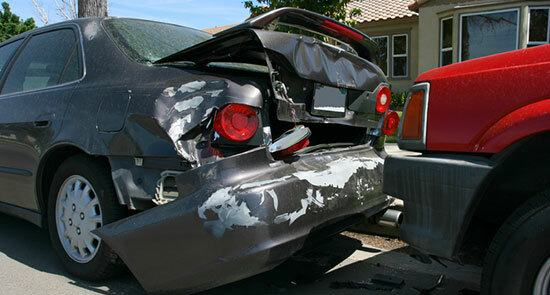 We'll help you understand what to do with your car after an accident. If you've been injured in a car accident, don't hesitate to call our law firm for a free legal consultation. We'll review the details of your case for free, answer all your legal questions, and determine whether or not you have a case. We're available 24/7 at 1-866-943-3427 or simply by completing the form located in the top right. There's no obligation when you call and absolutely no fee to speak with us. After an accident, it's important that you take the right steps to preserve the evidence and collect the information you need. Once you've gathered the other driver's details, contact your insurance agent, and – if you're injured – call a lawyer. Your insurance company may have a few preferred shops with which they do business. You are free to take your car to any mechanic, but you may need to negotiate prices with your insurance company. Remember, your car offers important evidence if you've been injured in the accident, so make sure we see it before it gets fixed. The sooner you contact our legal professionals, the sooner we'll get to work on your case and make sure your car is repaired. If your car is still drivable – Take it to a mechanic for inspection. There are a number of problems that could exist beyond visible damage. Take it to a professional to make sure it's safe to continue driving. If your car isn't drivable – You should have it towed directly to the shop. Confirm the right shop with your insurance agent to avoid any complications. Make sure you've photographed the damage first. If your car is totaled – You may choose to have it taken to a salvage yard, or your insurance company may recommend other options. Make sure to document the damage. You may have coverage on your insurance policy that qualifies you for a rental car up to a predetermined amount after your accident. However, some insurance companies won't pay for your rental until your claim is settled, essentially reimbursing you for the cost. Make sure you discuss the details with your insurance agent and understand all the specifics of your policy.